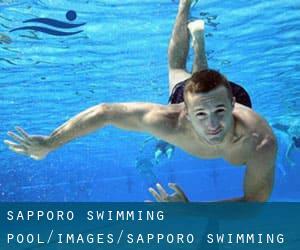 Regular users in the following varieties of Sapporo Swimming Pool told us one of the most important thing about swimming is to control your breathing. Occasionally this is not attainable because we raise the neck to breathe along with the body just isn't aligned. To avoid this, our head should really be aligned with our spine all the time. Swimming is usually a sport for all ages. It helps young individuals to tone their muscles and grow healthy and strong. For the elderly, there's no far better technique to workout than getting a Sapporo Pool to escape from day-to-day routine. For Sapporo and its vicinity, we're showing you all the registered pools, some of them have no GPS coordinates and can't be found on the map at the map. There are typically discounts obtainable to senior citizens and tiny children for independent swim. 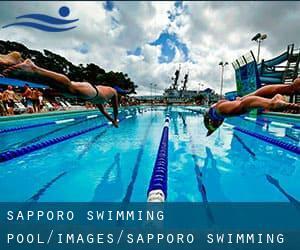 Find out by contacting your nearest pool among these varieties of Sapporo Swimming Pool. Swimia.com needs your feedback on Aquagym in Sapporo to ensure all of the details about swimming in Sapporo is valid. Do you realize of any Pools in Sapporo that should really be listed here? Contact us!. One of the advantages of outdoor swimming in Sapporo is the possibility to sunbathe for the duration of the summer season. Taking it with extra care, sunbathing is healthy given that introduces Vitamin D into the body, so the most beneficial selection seems to be switching amongst indoor and outdoor pools based on the season. Enjoy the best indoor pools in Sapporo and don't worry about the weather. These facilities are open all seasons and you can enjoy a swim at the same temperature every day of the year. There are quite a few factors why it's best to choose a heated swimming pool in Sapporo. The most critical one relies on the significance of keeping the body temperature stable. If the water is too cold, your body will try to warm it up and you will lose strength to swim properly. Nango 1 Chome north 2 - 1 , Shiraishi-ku , Sapporo , JAPAN (Postal Code: 003-0023). Few days ago a regular user of this center told us they offer 25 meters, 6 lanes, Indoors. Furthermore, they keep in good conditions 25 meters, 3 lanes, Indoors. For this Swimming Pool, only phone number is number here. 1-1-1 Kawazoe 2-jo , Minami-ku , Sapporo , JAPAN (Postal Code: 005-0802). Swimmers like you reported 25 meters, 9 lanes, Indoors. Unfortunately we do not have the email address of this Swimming Pool, but we can give you the phone number. Kita 16, Higashi 16 , Higashi-ku , Sapporo , JAPAN (Postal Code: 065-0016). Swimmers like you reported 25 meters, 7 lanes, Indoors. Unfortunately we do not have the email address of this Swimming Pool, but we can give you the phone number. 27-1-10, Minami-Ichijo-Nishi , Chuo-ku , Sapporo , JAPAN (Postal Code: 064-0801). Among all the activities offered by the center, in case you are considering swimming you will enjoy 25 meters, 7 lanes, Indoors. Just in case you need to contact this Swimming Pool prior to dropping by, we only know the phone number. 2-10 Tomioka 3-jo , Teine-ku , Sapporo , JAPAN (Postal Code: 006-0013). Swimmers like you reported 25 meters, 8 lanes, Indoors. Unfortunately we do not have the email address of this Swimming Pool, but we can provide you with the phone number. Updated on 2019 4-328 Minami-ku , Jozankei Onsen , Sapporo , JAPAN (Postal Code: 061-2302). Among all the activities offered by the center, if you are considering swimming you might enjoy 25 meters, 3 lanes, Indoors. Just in case you would like to make contact with this Swimming Pool before dropping by, we only know the phone number. Nishi-Kan , Higashi 4 Chome, Kita 2 Jo , Sapporo Factory Mall , Chuo-ku , Sapporo , JAPAN (Postal Code: 060-0032). Among all the activities offered by the center, should you be thinking about swimming you are going to delight in 25 meters, 5 lanes, Indoors. Just in case you want to get in touch with this Swimming Pool before dropping by, we only know the phone number. Misono 6-1 , Toyohira-ku , Sapporo , JAPAN (Postal Code: 062-0006). Swimmers like you reported 25 meters x 15 meters, 1.2 meters - 1.3 meters depth, 1.2 meters - 1.3 meters depth, Indoors. Unfortunately we do not have the email address of this Swimming Pool, but we can provide you with the phone number. N1, W4 , Chuo-ku , Sapporo , JAPAN (Postal Code: 060-0001). Among all the activities provided by the center, if you're interested in swimming you may enjoy 25 meters, 3 lanes, 1.2 meters depth, 1.2 meters depth, Indoors. Just in case you need to contact this Pool prior to dropping by, we only know the phone number. Saty Oyachi 1F, 3-3-20 Oyachi Higashi , Atsubetsu-ku , Sapporo , JAPAN (Postal Code: 004-0041). Swimmers like you reported 25 meters, 4 lanes, Indoors. Unfortunately we do not have the email address of this Swimming Pool, but we can give you the phone number. Hiragashi 5-14 , Toyohira-ku , Sapporo , JAPAN (Postal Code: 062-0006). Few days ago a frequent user of this center told us they offer Olympic size, 9 lanes, Indoors. Furthermore, they keep in good conditions 25 meters, 6 lanes, Indoors. For this Swimming Pool, only phone number is number here. Akebono 2-1 , Tiene-ku , Sapporo , JAPAN (Postal Code: 006-0832). Swimmers like you reported 25 meters x 15 meters, 1.2 meters - 1.3 meters depth, 1.2 meters - 1.3 meters depth, Indoors. Unfortunately we do not have the e-mail address of this Swimming Pool, but we can provide you with the phone number. Hiraoka 1-5 , Kiyota-ku , Sapporo , JAPAN (Postal Code: 004-0171). Among all the activities offered by the center, if you are interested in swimming you can appreciate 25 meters x 15 meters, 1.2 meters - 1.3 meters depth, 1.2 meters - 1.3 meters depth, Indoors. Just in case you desire to make contact with this Swimming Pool before dropping by, we only know the phone number. 2-5 Higashinaebo 4-jo , Higashi-ku , Sapporo , JAPAN (Postal Code: 007-0804). Among all the activities offered by the center, if you are thinking about swimming you can enjoy 25 meters, 7 lanes, Indoors. Just in case you want to contact this Swimming Pool before dropping by, we only know the phone number. 3-106 Nishioka 4-jo , Toyohira-ku , Sapporo , JAPAN (Postal Code: 062-0034). Swimmers like you reported 25 meters, 5 lanes, Indoors. Unfortunately we do not have the email address of this Swimming Pool, but we can give you the phone number.